Chris Flowers and the J.C. 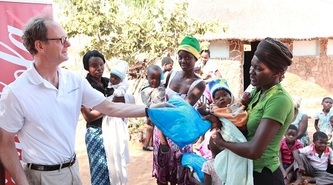 Flowers Foundation have worked extensively with malaria since launching NetsforLife in 2004. Since this initial work, the focus of the Foundation has gradually shifted from malaria control to elimination. 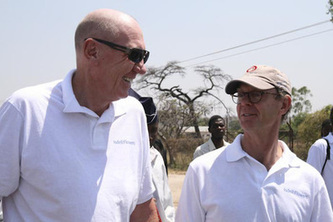 In early 2010 Chris Flowers joined former Coca-Cola CEO Neville Isdell on a trip to Zambia. They were moved and troubled to find remote communities where malaria was still a major killer, despite the availability of Long Lasting Insecticide Treated Nets (LLINs) in many areas of the country. 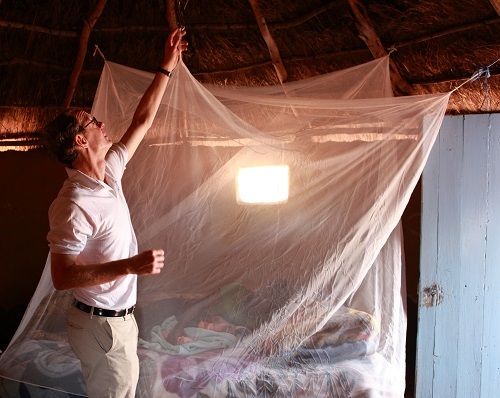 Determined to bring comprehensive malaria programs to these “last mile” communities, Chris and Neville founded the Isdell:Flowers Cross Border Malaria Initiative, with a focus not just on malaria control but on elimination.